Powerful SolusVM Control Panel to Manage the cheap VPS effectively. Your VPS will work at blazing fast pace and very simple to use. 1Gbps/100Mbps Burstable and Lightning Fast Network with VPS. Select Netherlands or Russia, as your server base! ** Offer valid for onetime monthly billing. Offer not valid for other billing cycles. OpenVZ VPS is a Affordable Web hosting solution with 20x higher performance than shared hosting. OpenVZ VPS Hosting is a container-based Virtualization Technology, which is light and performs faster in many cases. Our Unmanaged VPS comes with semi-dedicated resources and Full Root Access over the VPS. We provide this best VPS service on latest Hyper-Threading Technology enabled servers. We maintain weekly backup of all the VPS`s on remote site. Use our cheap vps to install any applications, host websites, game servers and more, equipped with advanced features for Quick Upgrades, DDOS Protection, Blazing Fast Network and 24/7 Technical Support. Wide Range of Linux OS`s. "Scopehosts is worth to choose. I received quick responses from support, they also have an extensive choice of applications to install." "I have been recommended by my friends and colleagues about Scopehosts , a great low-cost VPS hosting service provider. I was given prompt and correct support whenever needed." "Well, one of the Best hosting provider, very affordable and secured OpenVZ vps hosting service with 99.98% uptime guarantee." Ans: OpenVZ is the Software-based virtualization technology used with the linux platform. It is the OS-level virtualization method to make the physical server run isolated instances of operating system. When you use OpenVZ, you cannot make any kernel level modifications inside the VPS. Key perk of OpenVZ is that it does not have the overhead a true hypervisor does. 2. What is Unmanaged OpenVZ VPS? 3. How do I upgrade my VPS Plan? Ans: Have Exhausted Resources? 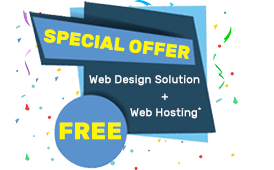 ScopeHosts provides Instant Addons for VPS hosting plans. Upgraded or downgraded the Plans easily through Client Area. 4. Any downtime encountered when my VPS will be upgraded? Ans: No, we provide impeccable hosting service with no downtime and excellent uptime to keep your websites available all-day and night. 5. How OpenVZ VPS Helps to improve my stagnant business growth? Ans: We ScopeHosts believe in driving your business growth to the summit with our OpenVZ VPS Hosting. Get yourself upgraded to the OpenVZ VPS from the shared service to relish best features and dedicated resources. 6. 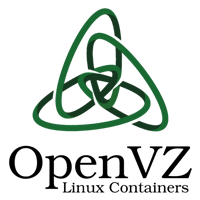 Where OpenVZ VPSs are Located? Ans: ScopeHosts network caters large bandwidth needs at a blazing speed and redundant connectivity Suitable for any workloads. Scopehosts high-end OpenVZ VPS Services are located at TIER III Datacenter like, Netherlands(1Gbps) And Russia(100Mbps). You can choose either Netherlands VPS or Russia VPS as per your website or business specifications. You will get premium bandwidth with the fastest connectivity across the globe. 7. Can I order for extra IP? Ans: Yes, ScopeHosts OpenVZ VPS Hosting plans comes with free 1 IPv4 and 5 IPv6 dedicated IPs. You can also opt to order for 1 additional IP at very affordable cost facilely. 8. Is there any trial period with this VPS Hosting? Ans: We do not offer any trial period. Freely subscribe with our OpenVZ VPS Hosting service. If you are unstaisfied with our service, then cancel service at any time. No questions will be asked. 9. Do you offer moneyback guarantee? Ans: We do offer 30 days moneyback guarantee with unmanaged VPS hosting. A cancellation request made within the first 30days of the service subscription will receive refund. 10. How to enable TUN/TAP on my OpenVZ VPS? Ans: You can manually activate TUN/TAP via SolusVM Control Panel. For more details on enabling TUN/TAP on your VPS read this article. 11. Do you provide uptime guarantee? Ans: ScopeHosts offers 99.9% Network and Server Uptime Service Level Agreement. All of our unmanaged VPS fall under this guarantee. 13. What is the backup policy with OpenVZ VPS ? Ans: We provide Free Weekly Backup if subscribed on quarterly basis. So to get free backup of your work ensure to subscribe quarterly. 14. How long do you take to set up my VPS ? Ans: We believe in serving you quickly. Hence as soon as the payment is received your VPS will be instanly and automatically deployed. 15. What Operating System options are available ? Ans:You are allowed to install any of the applicable operating system mentioned in SolusVM control panel during the ordering process. For custom OS requirements contact our hosting support experts. 16. How can I cancel my VPS service ? Ans:We will be saddened to let you go, but as we care for our customers we offer hassle-free process for cancellation of service. You can cancel the service by logging in to the Client portal -> Services -> My Services -> Request Cancellation. 17. What Control Panel do you provide with VPS ? Ans:You can manage VPS via SolusVM Control Panel. You will have full root access over your VPS with SSH and SolusVM, plus VNC access. 18. Can I upgrade the plan whenever needed ? Ans:Yes, you can do the plan upgrade from your clientarea whenever needed. You will get pro-rated bill for the upgrades till your service renewal date. 19. What happens if bandwidth usage limit is reached ? Ans:If you exceed the bandwidth limit, then your service will be automatically suspended. You can request for server’s bandwidth upgrade to reactivate the server, or wait until the bandwidth gets resets at the beginning of the next month. 20. How can I know the CPU info ? 21. What type of support do you offer ? 22. Can you migrate my website from existing service provide ? Ans:Yes, we would love to. We provide Free migration from your current service provider. Contact our migration experts for hassle-free migration of your website. 23. What is the port speed on your server nodes ? Ans:Our nodes feature 1Gbps and 100Mbps Full-duplex link ports. Our servers are enabled with lightning fast network speed for efficient performance of your website. 24. Do you accept payment through credit card ? Ans:No, we do not accept payments through credit cards directly. But we do accept payment through bank transfer or wire transfer. To know more on bank transfer details check out payment gateways page. 25. Can I get the management support service ? Ans:Yes, eventhough you have subscribed with unmanaged vps service if you require full management support, then you can purchase the management support service as an addon. You can contact our support team for further details on management support service.